Perhaps you’ve already heard: unfortunately, we had it all wrong about diet and weight loss for so many years. The stubborn myth that eating fat is what makes you fat is completely FALSE (if you haven’t heard, or you still aren’t sure, read this). In fact, new research shows that one specific type of saturated fat may actually drive fat burning, weight loss, appetite management and good health. This type of saturated fat is called medium-chained triglycerides (MCT), found in foods like coconut oil. Studies have proven that MCT helps you get lean and healthy, while also demonstrating special antioxidant and antimicrobial abilities that support your immune system. Dietary fat – especially saturated fat – has been demonized for decades as the cause of weight gain and cardiovascular disease. Doctors and major health organizations have been warning us to stay away from saturated fat for years, even in the face of unclear, misleading and contradictory scientific evidence. The American Oil Chemists’ Society released a compendium of the most recent research advances to date on saturated fats and health in its journal Lipids, demonstrating no significant evidence for the conclusion that dietary saturated fat is associated with increased risk of cardiovascular disease or obesity. In fact, the special issue goes on to cite evidence that particular saturated fats may even help to decrease these risks, that “a variety of saturated fatty acids may provide distinct benefits to various metabolic processes and good health,” and that the low-fat high-carb diet prescribed by U.S. dietary guidelines for so long may actually bear some responsibility for the nation’s rising rates of cardiovascular disease and obesity instead. Now, first things first – it’s important to understand that it’s the quality of the saturated fat that makes all the difference here between health benefits and health problems. The beneficial saturated fats in a tablespoon of unrefined virgin coconut oil is not even nearly the same as the harmful saturated fats found in a fast-food cheeseburger. 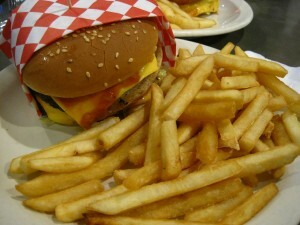 The unhealthy status of fried fats, over-processed fats, hydrogenated fats and trans-fats are not in any dispute here – these inflammatory fats ARE bad for you. However, while all forms of fat were discarded into the rubbish pile with these bad eggs, a few forms are starting to rise to the top as proven sources of good health and weight management. A study published in the International Journal of Obesity compared the results of a diet rich in medium-chained triglycerides (MCTs) with one rich in long-chained triglycerides (LCTs). The researchers looked at how these two diets affected the body fat, energy expenditure, appetite and other aspects of weight loss in a group of overweight men for one month. 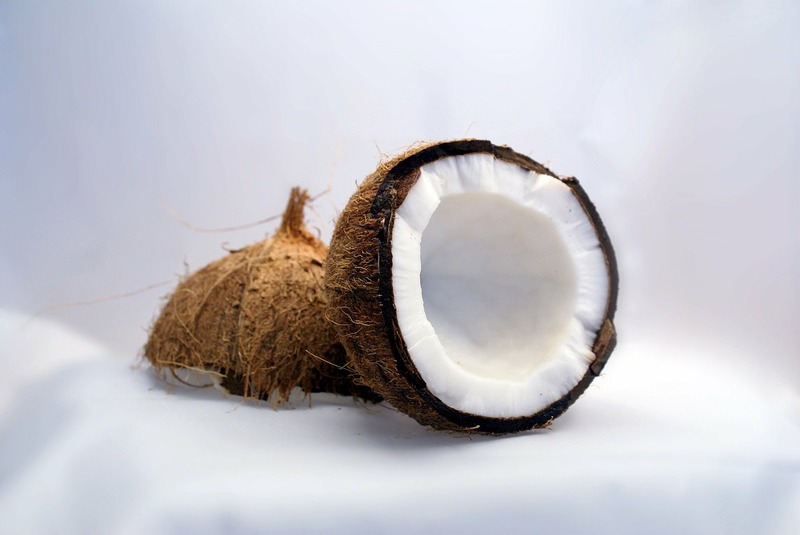 Half the men were put on a diet rich in MCTs like coconut oil, while the other half were put on a diet rich in LCTs. Half way through the month, the two groups switched diets. The researchers found that the MCT eaters lost more belly fat, overall body fat, experienced a boost in their metabolisms and experienced more appetite satiation that the LCT group. Moreover, other studies show that MCTs can help men burn an extra 460 calories a day and women an extra 190 calories a day, while also positively affecting hormones and appetite. A growing body of evidence is bringing a host of other positive health benefits from MCTs to light. MCTs are easily digested, absorbed and used by your body, readily used up as fuel for energy, to improve brain function, build healthy cells, etc., rather than be stored as fat. MCTs support the friendly immune-boosting bacteria in your gut while helping to combat harmful bacteria, viruses, fungi and parasites. The antioxidant properties of MCT have far-reaching anti-inflammatory benefits in your body as well, including helping heart health, brain health and obesity prevention. MCTs are also transported directly to your liver when you eat them, where they are burned up quickly and create a thermogenic effect that boosts your metabolism. Get more health-boosting MCTs into your diet with these nutritious no-bake coconut snack bars. The bottom line? Make it a priority to know which fats are your enemy and which are your BFFs when it comes to weight loss and good health. Defriending the good fats along with the bad can have far-reaching negative implications on your health. It can also make all the difference when it comes to finally figuring out how to ditch those final 15 stubborn pounds that just never seemed to budge, no matter how steadfast and with how much commitment you stuck by that fat-free diet.